I find the Stella McCartney fragrances feminine & have used all the perfumes over the years. I was thrilled to receive the latest launch Stella Peony Eau de Toilette available in South Africa from January 2018. I love the packaging from the bright poker dot box to the beautiful shaded bottle not to mention the amazing juice which suits me & the summer months. A beautiful Floral Scent, slightly woody & spiced up with black pepper, grounded cedar & patchouli. The thing I love the most is that although an EDT it has staying power as I love my fragrances to last on me. Its not the usual floral fragrance, I find it surprisingly smooth, warm & not too sweet which is great & in a way rose like. I love the peony flower which is only available in South Africa for a very short period only 2 to 3 weeks from around the end of October. This amazing flower can only be described as gorgeous with a beautiful smell so its not surprise that I love fragrances the has peony. 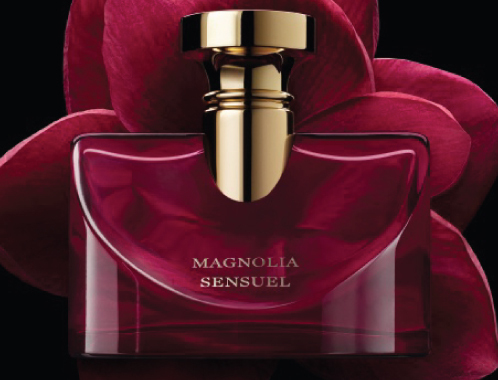 If you love floral fragrances take a look at this fabulous fragrance. Jean Paul Gautier is a French fashion designer, his Grandmother was hugely influential in his life & he designed for her at the age of 13. Jean Paul Gaultier launched his own fashion label in 1976. He was known as the bad boy in fashion due to his edgy street & punk style. He put undergarments front & center with his corset dresses which debuted in 1983. Two years later he unveiled his skirt for men. Jean Paul Gaultier created the famous cone shaped bra for Madonna’s 1990 Blond Ambition tour which she wore under a men’s style suit. He also designed for Kylie Minogue’s 2008 X tour & again for her The Skin I Live tour in 2011. He remains one of fashions most innovative & creative designers & is described as the designer that swims against the tide in fashion. He launched his 1st fragrance in 1993 Jean Paul Gaultier Classique & in true tradition designed a corseted style bottle. He continued over the years creating similar shaped fragrance bottles & many many limited edition bottles. 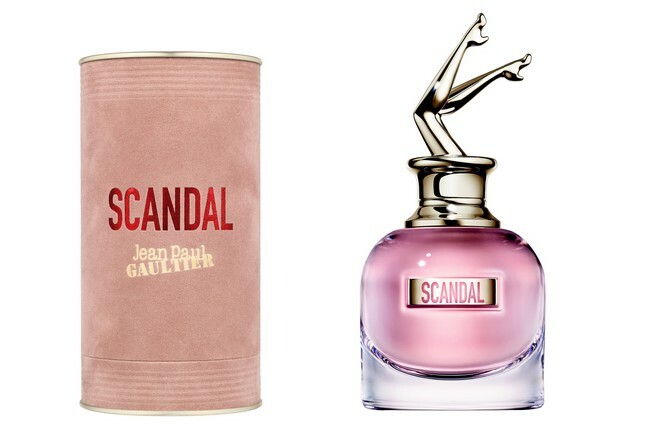 Jean Paul Gaultier launches a NEW feminine fragrance Scandal Eau De Parfum. The honey aroma is its most intensive note. They continue the trend of gourmand fragrances with a twist. It’s powerful yet elegant with blood orange, honey, patchouli & gardenia. Described as creamy, earthy & balsamic gourmand effect, with warm deep woody undertones which is well known as the DNA of the brand. Not only is the fragrance amazing but Jean Paul Gautier breaks all boundaries yet again with its striking bottle design. This time with a pair of beautiful long legs in high heels seemingly diving into the bottle, packaged in the iconic can a signature of Jean Paul Gaultier, this time pink suede. We believe that this fragrance is going to be an amazing success for so many reasons from the packaging, the bottle & fantastic juice. The fragrance is available in a 50ml R1 230 & 80ml R1 580 at leading South African retailers. You must be wondering by now what fragrances I don’t like, that question is hard to answer as I am exposed to so many beautiful brands & beautiful smells. I fell in love with Dior J’Adore EDP when it first came out in 1999 & have followed the range over the years. The latest launch Dior J’adore In Joy EDT is exactly that, meant to bring joy like Spring & Summer does. It’s a playful time of the year when one thinks of softer more natural make up & beautiful breezy clothing & frolicking in the sun in your flip flops & sun hat as you meander along Camps Bay beach in Cape Town. Dior J’adore In Joy is a fruity/floral fragrance with an unexpected salty twist. It’s the 5th scent in the Dior J’adore collection. Its really womanly for the soft & gentle women who is truly feminine. Its like wearing a breath of fresh summers air with a dry down of a ripe & juicy peach for a fun, exhilarating & cheerful women. It’s a great fragrance for the spring/summer months when you are looking for a sunny radiant scent. In other words I can honestly describe this fragrance as a pick me up scent for those beautiful warm summer months. I met up with a friend Mandy & one of the 1st things she asked me is what fragrance are you wearing, so for an EDT it does have staying power. I had been working on the post at around 11.30 & had sprayed the scent on my hand & I was with Mandy at 18.00. Mandy told me that she would be happy to wear Dior J’adore In Joy all year round. It just goes to show that there are no hard & fast rules to fragrance today, you can wear whatever you want whenever you want depending on your mood & where you are going on the day or night. Try Dior J’adore In Joy when you next go shopping & you will be pleasantly surprised. Lacoste was founded in 1933 by Rene Lacoste (A tennis player) & Andre Gillier, it was the largest French knitwear manufacturerer of its time. Rene Lacoste was nicknamed “the crocodile” by his fans for his tenacity on the tennis court.